The Kontinental Hockey League has developed its logo for the All-Star Week that will take place in Astana from January 10-14, 2018. Once again, the design brings together three showpiece games in a single style. 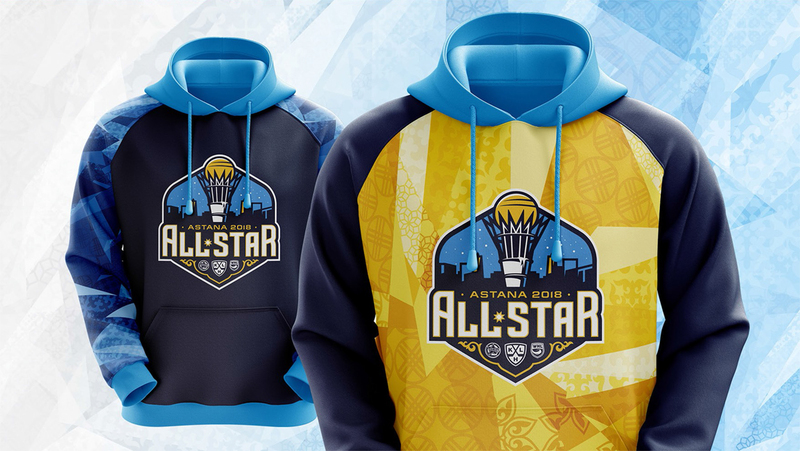 The imagery of the 2018 All-Star Week reflects the style of Kazakhstan and its capital, Astana, which will become the center of hockey attention as it welcomes the brightest stars of the KHL, the Youth Hockey League and the Women’s Hockey League at the beginning of next year. The key features of the designs for the season’s big show are derived from traditional Kazakh ornamentation and the blue and yellow colours of the national flag. 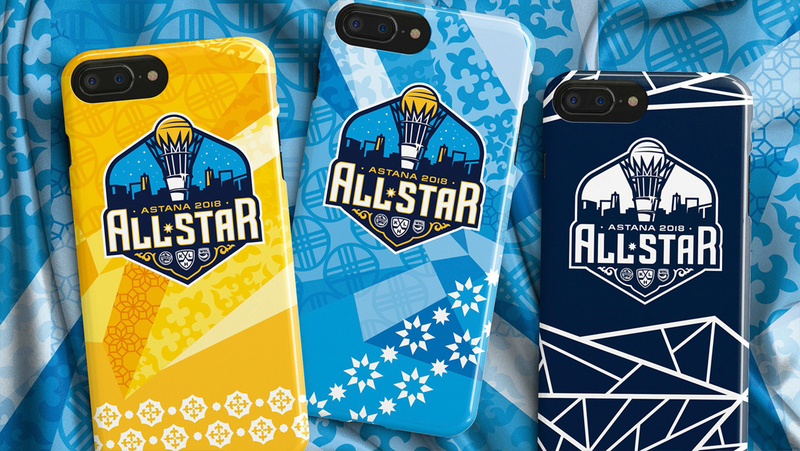 The branding, which will decorate the All-Star events and appear on souvenir merchandise, is created in a mosaic style that combines its basic elements – ice crystals – in colour or monochrome forms as required. There is a common stylistic language uniting the logos for the three big games of the three leagues involved in the main show of the season. The outlines of the logo recall the shape of the yurt, an ancient symbol of material culture that holds a special place in the history and culture of the Kazakh people. The stylized ram’s horns that make up Kazakhstan’s national decorative symbol form the lower border of the logo for the KHL, Youth Hockey League and Women’s Hockey League, while the upper part of the design reflects the skyline of contemporary Astana and its most famous attraction, the Baiterek, or tree of life. Astana was announced as the home of the All-Star Week on May 12, 2017, when the KHL and Barys Hockey Club formally signed an agreement to stage the sporting show in the capital of Kazakhstan. The week-long format enjoyed a successful debut in Ufa in January 2017, where 122 stars players and 14 coaches from the KHL, Youth Hockey League and Women’s Hockey League took part in games that brought more than 30,000 fans to the arena. - There are still six months to go before the biggest show of the upcoming season, and we’re delighted that we can already unveil the official branding that will be associated with the All-Star Week in this 10th anniversary KHL season. Every year, the league tries to find a vivid representation of the characteristic features and colours of the host city and emphasize those key details in a way that will make a lasting impression on hockey fans. I am sure that the imagery we have developed enables us to concisely reflect the rich heritage of Astana – a modern city that preserves the traditions of the whole nation while looking ahead to the future. - We’re moving forward quickly with our preparations for this grand event – the anniversary KHL All-Star Game and All-Star Week. The League has presented its official logo and branding for the week, and we’re delighted to hosting such a significant event here in Astana. We’re especially pleased to see that the official branding proudly incorporates the national colours and symbols of Kazakhstan. The logo includes our blue-and-yellow colours and our capital city’s most famous monument, the Baiterek, as well as other Kazakh symbols.